Louis and Cedric were found at the Outsource Zone. Louis has no vision, but watching him play football you really wouldn’t know! He could give David Beckham a run for his money! Louis is a crazy, loving kitty who adores being the centre of attention at all times. His eyes have been removed and sewn up to prevent infections. Cedric is visually impaired. 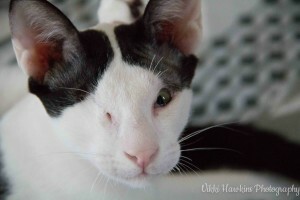 His right eye was removed to prevent infections and he has limited vision in his left eye. His left eyelid was inverted and has been adjusted to prevent his eyelashes rubbing on his eye and causing infection. This doesn’t stop him doing anything though! 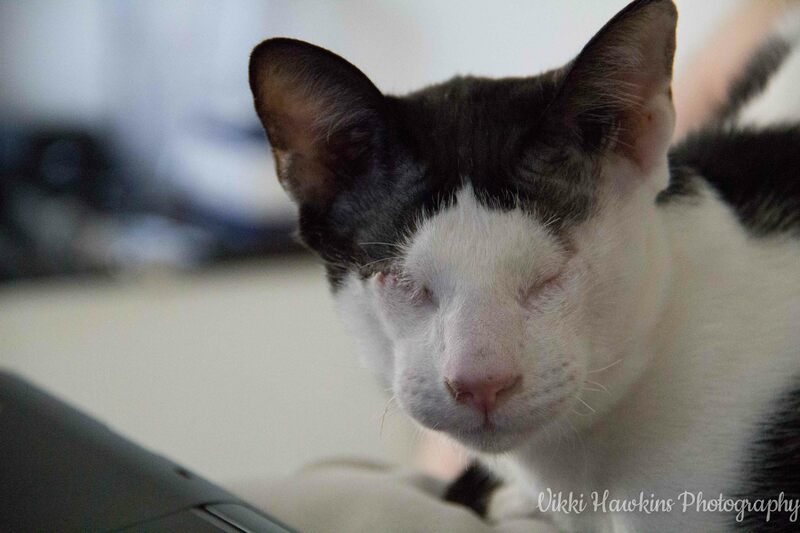 He is a very cheeky boy as you will find the first time you try to put him in a cat carrier! 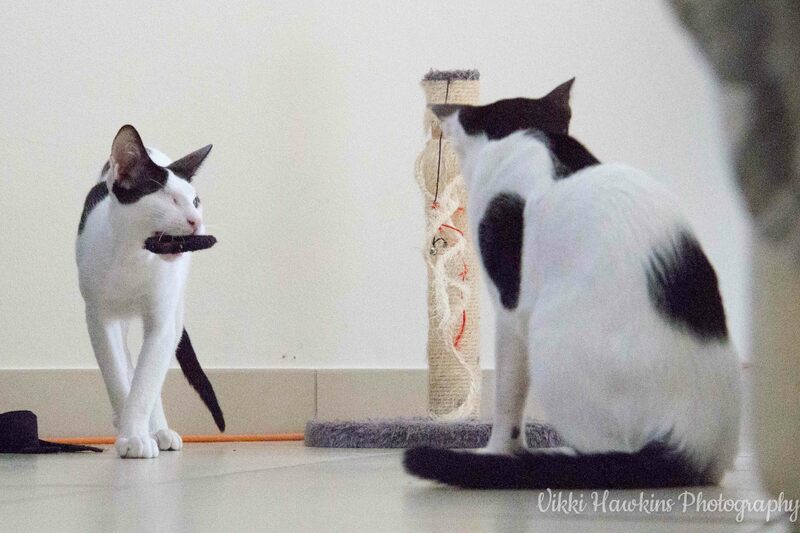 Looking after blind cats is not very different from looking after sighted cats; keep the furniture, food and litter tray in the same place and have some noisy toys around for them to play with. That’s all there is to it! These two kitties are pretty attached to each other and should be homed together. They are neutered and vaccinated and despite their early eye issues, they are now happy and healthy and should not require any more medical attention than other cats their age. Cheeky Cedric has the hair bobble!